If you are looking for drywall repair Midland, or a top rated sheetrock contractor in Odessa, we have you covered. Damaged drywall is one that has been penetrated beyond the initial painted surface and into the infrastructure of the wall. Damaging drywall usually results in an uneven and scathed wall with dusted fractions scattered around the surface area. Fortunately, repairing drywall can be done relatively quickly and at an affordable rate, without ruining the rest of your wall. Our team of skilled drywall and sheetrock specialists can take care of any size project you need. Wether you have new construction that requires all the sheetrock to be hung, taped and floated, and textured, we can take are of your project. if it's only one wall, one room, or an entire home, we are the drywall contractor Midland and Odessa call on for quality work. Our guys know drywall repair, and are highly skilled in tape and float and all styles of texture. If you need to match the texture in you home, we can always achieve a perfect match. Sometime you walls get damaged and you are in need of a repair. We will give you a free estimate and determine if we need to replace the entire section of drywall or just do a small repair. We can match your texture and paint and make the hole or damaged sheetrock look like it had never been damaged, We have done drywall repair and installation all across West Texas and the Permian Basin area. Including drywall jobs in Stanton, Big Spring, Andrews, Greenwood, Crane, Monahans and of course all over Midland and Odessa. What customers enjoy most about drywall repairs is the quick time it takes fix such damages. Depending on how large the area is that needs replacing will determine the amount of time needed for repairing and drying, but most minor damages can be fixed and ready in less than 24 hours. For larger damages, we will likely need to cut out the drywall where the imperfection lies and re-seal it with a new piece of drywall. If the imperfection is smaller, like a corner dent or a hole, we can repair it using a sealing agent that fills the hole or molds into the dent and dries in place. Once this process has been completed, you’ll likely only need to wait about 24 hours before using or touching the area again. With patch repairs in drywall, we use a dry and powdered patching agent that is mixed into a molding solution and slated across the damage to even it out. Once this agent dries in place, we can then paint over it as usual uses the standard paint as before. Patch repairs are recommended for small areas that see regular chipping or damage due to everyday use. Patch repairs can also be used to fill in holes where nails once were, or where the drywall has begun to crumble. 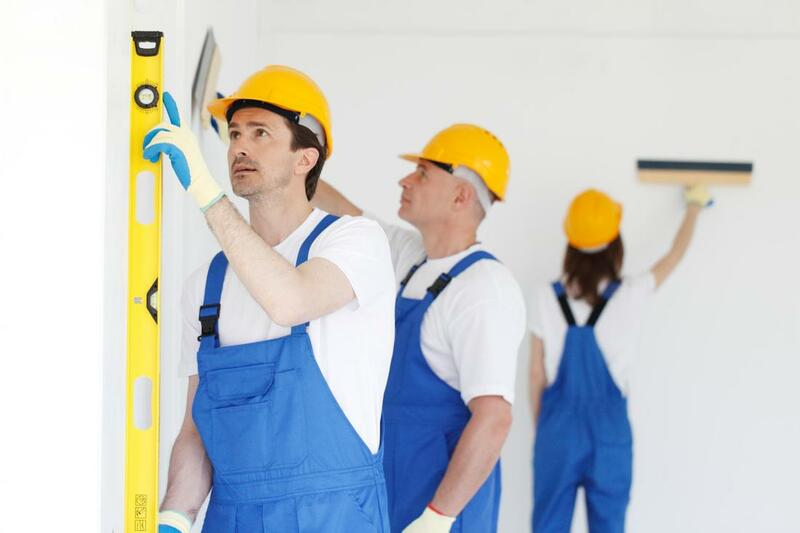 Repairing drywall has proven to be more cost-effective than repairing the entire drywall as a whole. If you have a particular budget you’d like us to work with when repairing your drywall, simply let us know and we will be more than happy to do so. we’ve worked with clients over the years that were unsure if their drywall could be repaired or replaced due to the costs, but we’ve been able to assure them that it can be and we’re flexible. We want your walls up and running in tip top shape, so we do our best to find a price point in drywall repair that you can be comfortable with. Not only are our drywall repair services durable and efficient, they’re also effective as protecting your wall from potential damage again in the future. By adding a repair agent to the damage that was there before, you’re adding a protective layer of durability to your wall’s surface. Drywall repairs are intended to extend the longevity of your walls and protect the once damaged area. While it doesn’t make the surface invincible, it does do it well to keep it safe in the future. Since the material dries quickly, it also holds primers and paints just as well as standard drywall surfaces.